Ambi was banned for confusing an Uglette rank for a Rayman rank. Ray was banned because people always confuse other poeple for him. CHRdutch was banned because his country predicted that they would almost elect an evil guy. Pirez was banned because an evil woman might be elected in his country. 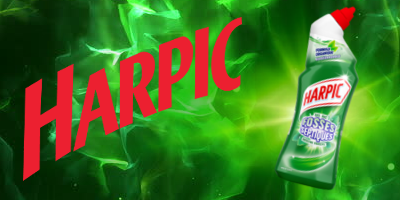 Harpic was banned for having the same rank as the Queen of Scotland, Serza. Ray502 was banned for being jealous. Harpic was banned for misinterpreting Ray502. CHRdutch was banned for assuming Harpic was misinterpreting, when he probably actually meant "jealous on behalf of Queen Serza", but omitted the "behalf" bit for brevity. Plum was banned for getting it. Xenon was banned for probably not knowing what does "prouts" stand for. Xenon was banned for issuing one, two, and then three bans, totalling six bans for Harpic in a single post when the limit is four. Xenon was then banned for issuing a ban based solely on the recipient's location, banned again for being named after a chemical element, and finally banned again for not making himself clear by, presumably, issuing three more bans than intended. Ambi was banned 902 times for excessively banning Xenon and Harpic. Must keep the ban count equal. Ambid was banned 9001 times for setting an arbitrary limit and then breaking it immediately for another user. Ray was banned 9002 times for also being a ninja. Plum was banned 9003 times for not living up to his good ninjaing skills. Xenon was banned for encouraging repetitiveness in that game thread. It can't be your name every time we go around the alphabet! Plum was banned for not also banning Xenon for his unwillingness to follow the rules in attempt to ban Plum. Ray502 was banned 400,000 times within 12 seconds because people are confusing him for other people again. In this case, for Plum. Dutch was banned for exceeding the maximum number of bans one can use on someone else. A member can only ban so many times at once.